Deleting a Skype account isn’t an easy one-step process. It is actually more complicated. There are several things that need to be taken care of before parting ways with the enormously popular calling app. You will have to cancel your subscriptions, request for a refund, unlink your Microsoft account from your Skype account and remove payment methods. This detailed tutorial will show users how to delete a Skype account in its entirety. The first thing you need to do is unlink your Microsoft account from your Skype account. Otherwise, deleting your Skype account will also remove your Microsoft account and you will lose all the associated Microsoft services, such as OneDrive, Outlook etc. Follow the steps mentioned below to unlink your Microsoft account before proceeding to delete your Skype account. If your Skype account is not linked to your Microsoft account then you can simply go ahead and skip to Step 5. 1. Log in to your Skype account using a web browser. 2. Scroll down to the bottom of the webpage. Select Account Settings. You will see it under the heading of Setting and Preferences. 3. Click the Unlink option that you will see next to your Microsoft account. 4. You will be asked to confirm. Select Continue. 5. Now you need to cancel your Skype subscriptions if you have any. In the Account Settings section, you will see a blue bar on the left. Click on the subscription you want to cancel. 6. Select Cancel Subscription in order to continue. 7. Choose “Thanks but no thanks, I still want to cancel” to confirm. 8. Now you can request for refunds by contacting the Skype staff directly or by filling out the online Cancellation and Refund form. 9. To delete a Skype number that you purchased go to the Manage Features section. 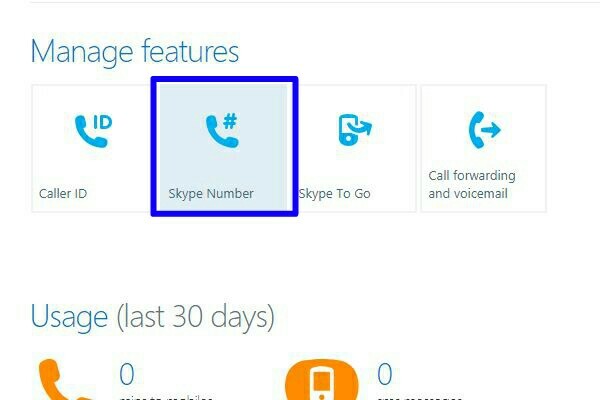 Click Skype Number and then Settings. Select Cancel Skype Number. 10. If you were using Skype’s Auto-Recharge feature, you will have to disable it. Go to Account Detail section and select Billings and Payment. Click the Disable option that you see in the Auto-Recharge tab. 11. Now contact Skype Customer Service and let them know that you wish to remove your Skype account. So, if you’re wondering how to delete a skype account, you will have to follow these complicated steps, which we’ve broken down into digestible bits for you. Q: I received a message that I can’t unlink my Microsoft account from my Skype account. What should I do now? A: You are only allowed to unlink your Microsoft account from your Skype account for a limited amount of times. So in case, you’re not being allowed to that now, you will have to contact Skype Support through an online form. Q: How long does it take for Skype to permanently delete my account after I opt for deleting it? A: Skype can take up to 30 days to permanently delete your account from their directory. If you don’t want people to be able to find you during that time, you should consider changing your profile picture and remove all personal information from your account before deleting it. Q: Will my account still appear in my friend’s contact list? A: Yes, your account name will still appear in your friend’s contact list unless they remove it themselves. But they will not be able to contact you through that. Q: How do I let my contacts know that I’m deleting my Skype account without having to message them all separately? Still not sure how to delete a skype account? Don’t worry, we have you covered. Just leave your questions and feedback in the comments below and we will get back to you shortly.